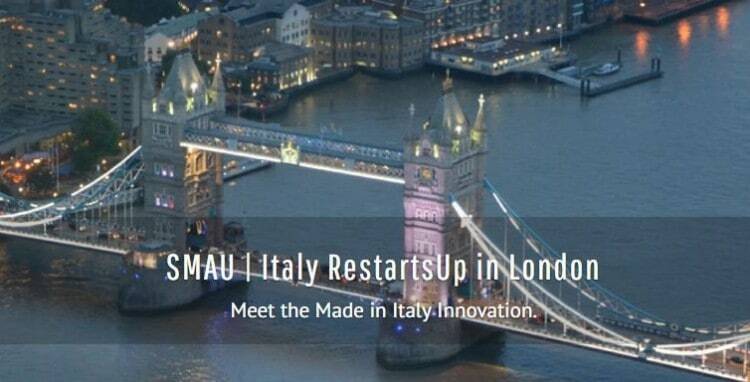 SMAU | Italy RestartsUp in London is the leading show dedicated to innovation in Italy, organized in collaboration with ICE, Agency for the promotion abroad and the internationalization of Italian companies, that will take place on the 11th of April at the Old Truman Brewery, located in 85 Bricklane, London. A selection of 40 Italian startups will show their own products and services to investors and visitors. During the day, there will be also some pitching sessions and panels with representatives of the Italian and British innovation ecosystem focused on: FinTech&InsurTech, LifeScience, Artificial Intelligence, Agrifood, Smart Manufacturing, Smart City&Smart Mobility. The purpose of the event, as Pierantonio Macola, President of Smau, says: “is to introduce the innovative excellence of “Made In Italy” to English entrepreneurs, investors and managers invited to the exhibition.